Rhogar Vanguard is an Enemy in Lords of the Fallen. Enemies are hostile creatures and humans that Harkyn encounters throughout the game. They have different resistances and drops, sometimes leaving behind powerful Weapons. 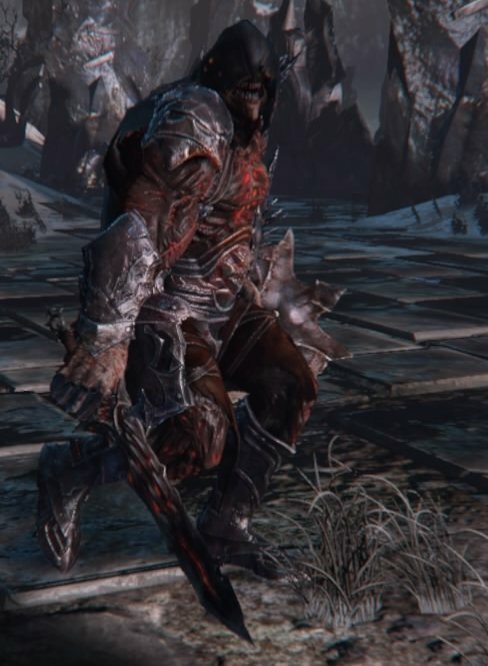 Rhogar Vanguards are some of the more typical enemies found in Lords of the Fallen. Appearing early on in the game, they tend to use a combination of a sword and shield when fighting against the player. General - Many of their attacks can be easy to punish for the player even on in the early stages of the game. Normally all the player will need to do is strafe from side to side until an opening in their defense becomes available to exploit.